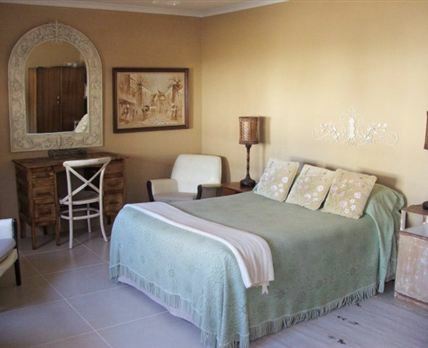 Karoo Werf Gastehuis Sis situated in the historical town of Cradock, a serene but typical Karoo farming town lying on the banks of the Great Fish River. The guest house offers three fully equipped flats, two double bedrooms sharing a kitchen and a separate self-catering garden cottage. The original part of town is graced with some of the finest buildings. The Dutch Reformed Church is a national monument, designed to look like London’s St Martin’s-in-the-field, and there is the Olive Shreiner House Museum which is devoted to the authoress’s life and works. The town’s streets are lined with Ilex Oak Trees, particularly on Dundas Street, where they have been declared a national monument. The Old Water Mill is completely restored and worth a visit. The Great Fish River Museum, housed in the converted second Dutch Reformed Church, conveys what it was like to live as a settler after 1806 during the second British occupation of the Cape. Click here to enquire at Karoo Werf Gastehuis.